Scooby-Doo – Franken Creepy: Scooby-Doo, Shaggy, Fred, Daphne and Velma are back in this original movie! Velma discovers she’s inherited her great-great-uncle Dr. Von Dinkenstein’s castle, and the gang persuades her to go claim her inheritance. But when the Mystery Machine blows up as a warning, the crew springs into action…and this time it’s personal! Scooby-Doo – Stage Fright: Scooby-Doo, Shaggy, and the Mystery Inc. crew head to Chicago for a talent show, some museum tours and a whole lotta pizza! Scooby-Doo – Moon Monster Madness: Blast off for an epic, otherworldly adventure in this original movie! Scooby-Doo, Shaggy, Fred, Daphne, and Velma are off to space in billionaire Sly Baron’s brand new ship. It’s all gravity-free fun until a mysterious alien forces a landing on the dark side of the moon! Journey to the outer limits with Scooby-Doo to unravel this alien mystery! Scooby-Doo – Music of the Vampire: Scooby-Doo and the gang are geared up for a relaxing vacation. How very Velma to steer them to Vampire Palooza. When a singing theater troupe, led by pasty heartthrob Bram, meddles with an ancient resurrection chant, the vampire Lord Valdrona comes back to life. Now the stakes are flying, and the gang must sing and dance their way out of danger! Super sleuths Daphne, Shaggy and Scooby-Doo are on the case for ghosts, real ghosts this time, 13 of the world’s meanest ghosts to be exact. Once banned to an enchanted Chest of Demons of eternity, all 13 spirits are now loose to wreak havoc on the world and only Scooby-Doo can recapture them because – ruh-roh! – he’s the one who unwittingly opened the chest and let them out! Joined by the pint-sized, fast –talking magician/con artist Flim-Flam and guided by the world’s greatest mystic Vincent van Ghoul (voiced and inspired by the incomparable Vincent Price), the gang causes mayhem hunting ghosts around the world while cracking fans up in the comfort of their home. 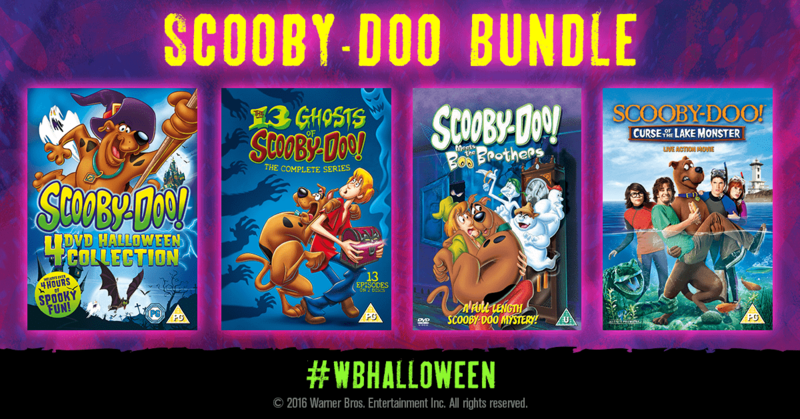 Scare up this spooktacular 2-disc complete series collection for a haunting good time! It’s the start of a Boo-tiful friendship when Scooby-Doo and Shaggy getup-close-and-spooky with some supernatural siblings in this all-new animated movie! After Shaggy’s uncle leaves him a fortune in hidden jewels, Scooby and Scrappy join him for the ultimate scavenger hunt through the trap doors and tunnels of the haunted old Beauregard mansion! 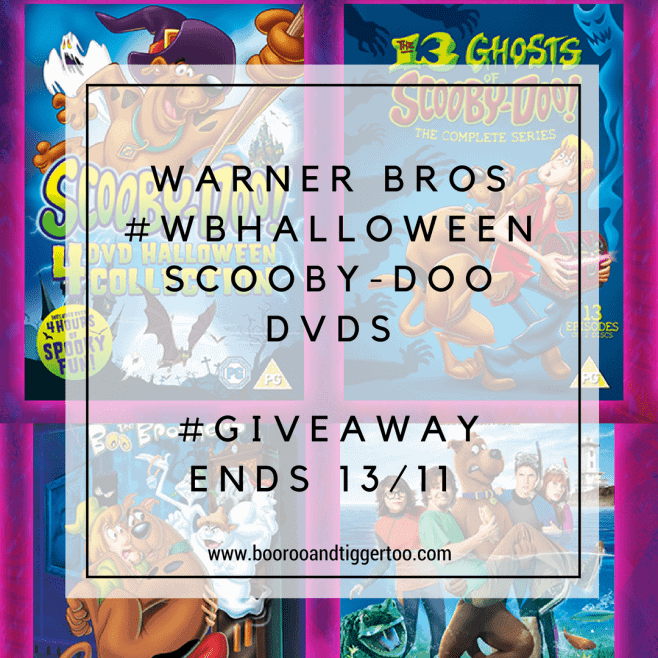 Terrified by the ghost of Shaggy’s uncle, the gang calls in reinforcements – the wild and ectoplasmic Boo Brothers, a phantom family of ghoul-chasing ghosts! Disclosure: We have received the above Scooby Doo Halloween DVDs FOC for the purpose of review. My son loves a good scooby doo film, I must dig them out!